Welcome choose this TOSHIBA PA-1750-07 AC Adapter (15V 5A ) in our Singapore Shop. We sale laptop battery chargers for many years. All original / genius /replacement TOSHIBA PA-1750-07 power charger are wholesale from the factory or the market, please place your order freely. We offer a 30-day unconditional money back GUARANTEE and Fast SHIPPING on all TOSHIBA laptop ac adapters. Please click follow TOSHIBA PA-1750-07 AC Adapter picture to see more details. 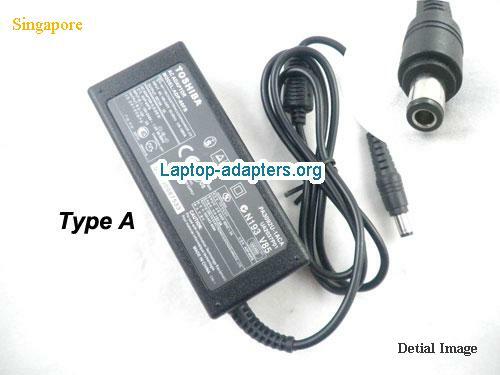 Why order This TOSHIBA PA-1750-07 Laptop AC Adapter From Us? 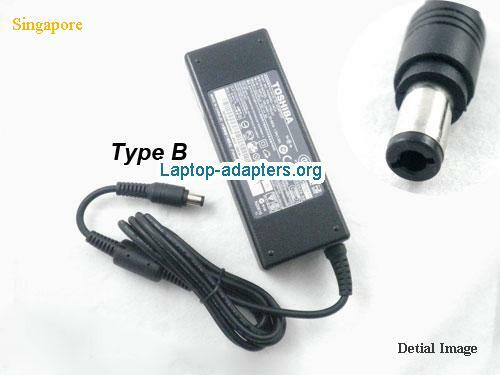 100% Quality Assurance for PA-1750-07 adapter, PA-1750-07 laptop charger, PA-1750-07 laptop battery charger. This TOSHIBA PA-1750-07 Laptop ac adapter is new & 1 Year warranty. Do not modify or disassemble the TOSHIBA PA-1750-07 adapter. Do not expose PA-1750-07 TOSHIBA to water or other moist matters. Do not pierce, hit, step on, crush or abuse the PA-1750-07 new adapter . Do not place PA-1750-07 adapter in device for a long period of time if device is not being used.